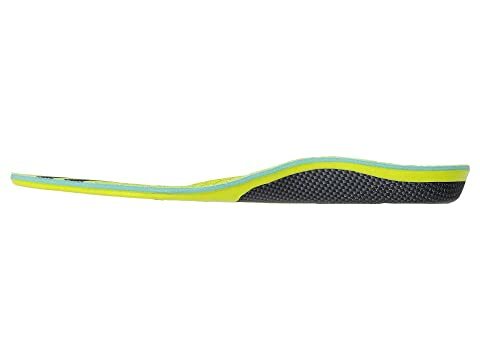 Give your feet the control and comfort they need in the New Balance® Motion Control Insole. Previously named Sport Cushion Insole. 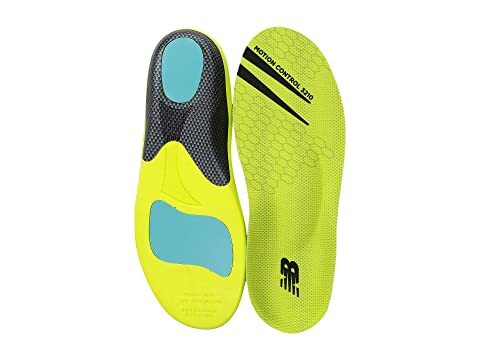 Anti-blister top cover has antimicrobial treatment that creates a healthy foot environment while helping keep feet cool and dry. Abzorb® cushioning is strategically placed for optimal shock absorption at the heel and forefoot. The deep heel cup, external heel stabilizer, arch and metatarsal support work together to stabilize and support the foot. May help prevent and provide relief for those suffering from Plantar Fasciitis. Product measurements were taken using size Men's 5-5.5, Women's 6.5-7, width Medium. Please note that measurements may vary by size.